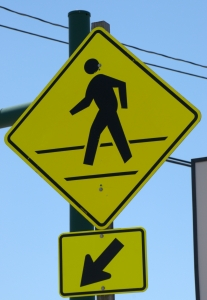 As an experienced San Francisco personal injury law office, The Brod Law Firm knows that vehicle crashes can involve pedestrian victims in addition to the vehicle occupants. Our San Francisco pedestrian injury attorney also knows that these cases often result from a myriad of causes that all contribute to an accident. It is our mission to hold negligent drivers and operators responsible for their actions but we also urge residents to exercise caution while walking to help avoid tragic results. CNN’s website is reporting on a study published in Injury Prevention that drives home the importance of being aware of your surroundings, even when you are on foot rather than behind the wheel. The study by a team at the University of Maryland School of Medicine found that serious injuries and fatalities involving headphone-wearing pedestrians tripled in the period between 2004 and 2011. Half of the reported incidents involved train collisions while the other half involved cars, trucks, buses, or bicycles. Although headphones have been around for decades, they have become increasingly prevalent in our wired 21st century lives. The danger appears especially prevalent for younger people with twenty-one being the median age of the pedestrians. Headphones can render pedestrians inattentive and limit their ability to hear oncoming vehicles. In response to the danger of distracted pedestrians, some lawmakers have even considered legislation forbidding the use of headphones in city intersections. As a victim’s personal injury law firm in San Francisco, we know that accidents are complex. While we urge residents to use caution and take steps to avoid pedestrian injury, we also believe that those injured by negligent drivers deserve compensation even if their own actions were not without fault. Until 1975, California used a legal principle that barred any recovery whenever the victim’s own negligence contributed to the accident. This is no longer the case. The California Supreme Court has since made it clear that victims can recover even in cases of contributory negligence, the legal term for the victim’s own imperfect actions. Victims can still bring, and win, personal injury suits where their own negligence was a factor. Instead of barring recovery, the court may reduce the amount of damages awarded in order to take the plaintiff’s role into account. For example, if the court finds that a speeding driver held 85% of the responsibility for a crash with 15% of the fault being due to the pedestrian’s own distraction, the court will calculate the amount of damages and award 85% of the total figure. It is a prevalent theme of this blog that prevention is always best. We urge area pedestrians to be fully aware of their surroundings, taking particular care on busy streets, near intersections, and at railroad crossings. Headphones should be used responsibly and pedestrians should always be sure they can hear the traffic noises around them and that they do not allow their mobile devices to distract them from their safety. However, we also know that most accidents include a myriad of factors and do not believe that simply having worn headphones should prevent a victim from seeking compensation when another person’s negligence led to their injuries. If you have suffered injury in a pedestrian accident in San Francisco or the surrounding Northern California communities, please contact our team for a free consultation to discuss your unique case and your legal rights.